MacSween has built one of the UK’s leading cloud and managed hosting companies, focusing on private and hybrid cloud services for SME customers. In the last financial year he grew group revenues 33 percent to £33.5m. During the past 12 months iomart Group’s market capitalization has risen from £105M to £152M, reflecting shareholder confidence. Martin has focused CAT-TEC on Toronto-area IT services. The company has grown 71% percent since 2011, and CompTIA named the company a best-in-class MSP in 2008. CAT-TEC works with financial planners and non-profits in the Province of Ontario Canada. Martin started his own consultancy business, Migliori Consultancy Ltd., in February 2011. He helps organizations to develop and grow their managed services capabilities. Over the past year, revenues have grown about 400 percent, and the company’s client base has grown from two to 14 customers. McDonald is CEO of Silverback Enterprise Group, the company that acquired and integrated Tenrox and PowerSteering. Tenrox, in turn, is a leading provider of cloud-based PSA and workforce management software. McDonald is a serial entrepreneur who previously led Perficient for a decade, building the company into a publicly held organization with a $500 million market cap. McDonough exited as managing director at SAC Capital Management to found Agio Technology in January 2010. Agio now serves more than 140 of the world’s leading hedge funds, landing twice on the MSPmentor Top 100 list. With 98 employees in seven offices worldwide, McDonough has the unique challenge of creating a cohesive culture focused on excellent customer service. McGoldrick founded Maildistiller, a cloud security company, in 2004. Maildistiller and its channel partners have grown the company’s customer base by over 50 percent in the last financial year. Plus the company has helped almost 20,000 former Webroot users migrate across to Maildistiller. Matthew McGrory, Director of Managed Services, Acora Ltd. Under McGrory’s sales leadership, Acora’s EBITDA and turnover has grown 30% YOY over the last 4 years. The launch of Acora (rebranded from ADA in December 2011) was a key part of McGrory’s strategy to pursue mid-market businesses. Under McKay’s leadership, Desktone has had its most successful year, increasing sales 300 percent, improving year over year growth in seats by 500 percent and signing 20 IT services providers including Dell, NaviSite and Quest. The company specializes in Desktop as a Service (DaaS) offerings. McNall has positioned Quosal as a top provider of quoting and sales proposal solutions. Widely used by VARs and MSPs, Quosal also appeals to leading sales experts across all major vertical markets. McNall has successfully extended Quosal into the cloud (via Windows Azure) and out to tablets and mobile devices. Quosal also is part of the ConnectWise Capital investment portfolio. Michael Miller, President an CEO, Alexandria Networks, Inc.
Miller — working with business partner Tom Curley — doubled Alexandria Networks’ revenue every single year since it started in 2007. The business only generated $50,000 the first year. By 2008 that figured doubled to over $100,000. In 2009, Alexandria Networks hired its first employee and revenue again doubled to $200,000. In 2010 with three employees Alexandria’s revenue was over $500,000, as the company transitioned the business from a traditional break-fix shop into an MSP model. The company expects to exceed $1.5 million in 2012. Miller grew Ener Systems 2011 annual revenue by 60 percent over 2010 annual revenue. Company insiders say Miller has a special ability to immediately identify the root cause of a problem and lay out steps to fix the issue. Michael Minnich, CEO, NetGain Information Systems Co.
Minnich continues to forge relationships and build collaborative opportunities around fiber that position NetGain and it partners as leaders in cloud services. 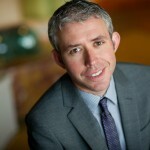 He serves on the CompTIA Managed Services Board, is a VTN mentor and a member of the Level Platforms Advisory Council. Consistently at or above 10 percent true profit, NetGain earned the CompTIA MSP TrustMark. Monies previously was invited to the U.S. Congress to take part in a Congressional Conference on Homeland security, as well as accompanied the CT Governor on an international Trade Mission. Most recently, Monies led his team in growing 2011 MSP revenues by over 62 percent. Monshaw has led IBM’s aggressive mid-market MSP push. That 2012 effort has attracted more than 1,200 MSPs, many of which are now embracing IBM SmartCloud services for public, private and virtualized services. The IBM effort allows MSPs to blend on-premises IT management with solutions and services running in IBM’s own data centers. Under Moore’s leadership, Axcient has grown 100% quarter over quarter for the last two years and now protects more than 2 billion files and applications in the cloud. Moore is known as an authority on cloud computing, SMB market strategy, and startups. He is regularly featured on CNBC, in BusinessWeek, The New York Times and numerous other news outlets. Morgan is a pioneer in MSP software sales having been the first sales person at ConnectWise and an early member of the Kaseya sales team. He has a staggering network of contacts and everyone in the industry seems to know Andrew. He has brought his unique talents, knowledge and experience to TruMethods, which coaches and consults with hundreds of MSPs. Dina Moskowitz, CEO and Founder, SaaSMAX, Inc.
Moskowitz has been leading and/or consulting to cloud-based, SaaS, and other technology companies throughout her career. As Founder and CEO of SaaSMAX, Inc., Moskowitz is building a SaaS Channel Management Platform and Marketplace. It’s designed to help solution providers transition their customers to the cloud and facilitate deal management, commission management, reseller contracting and market enablement between SaaS ISVs and Solution Providers. Prior to SaaSMAX, Moskowitz was CEO and founder of Critical Digital Data Solutions, which develops cloud-based online data storage solutions. Moyer leads the distributor’s CloudSolv build-out, which empowers MSPs with hosted email, collaboration and business management services. He has worked in and around the channel for two decades, holding partner-centric posts at Ingram Micro, Microsoft and Wyse. Mulchandani launched ScaleXtreme to develop cloud-based monitoring and systems management products for modern distributed datacenters. ScaleXtreme gives customers and service providers a unified system to build and control physical, virtual and public cloud servers. Prior to co-founding ScaleXtreme, Nand was an Entrepreneur-In-Residence at Accel Partners. Earlier, Nand was the CEO of OpenDNS, where he led the company through a growth phase in DNS traffic, consumer router integrations, and the launch of enterprise products. In less than 5 years as a Channel Development Manager for McAfee SaaS (Formerly MX Logic), Murphy has recruited more than 500+ channel partners, resulting in over 5,000 new customers/150,000 subscribers and over $2 million in reoccurring subscription revenue. Now representing the entire McAfee security portfolio and SecurityAlliance partner program, Murphy is focused on growing McAfee;s SMB & cloud security market share. In addition, Murphy is a board member of the Colorado Rockies Venture Club (RVC), a community volunteer with the Special Olympics, and a small business owner.